As the month rolls on, the wonderful Christmas spirit grows more apparent, and in a few days, the gift of giving will be in the spotlight for a worthy cause. 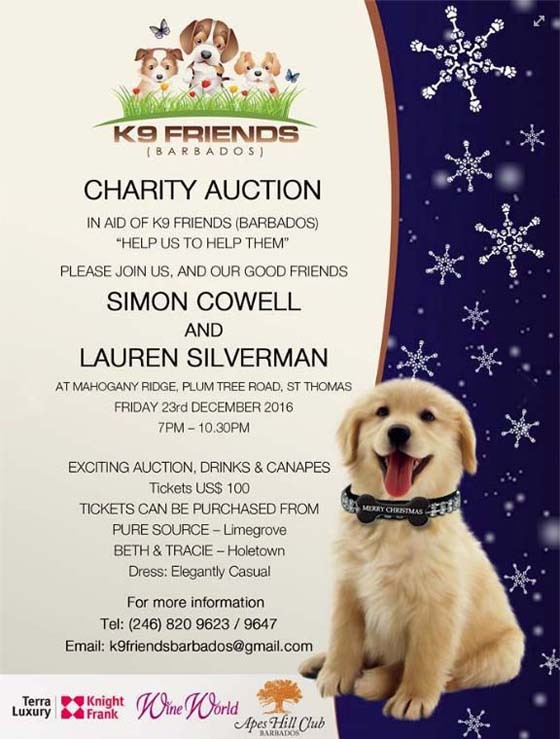 K9 Friends Barbados will host their annual auction on December 23 at Mahogany Ridge in St. Thomas - all in the name of canine welfare! For the past three years, Barbadians and visitors to the island have flocked to the auction venue to enjoy a lovely evening of treats, eats and paws while bringing their most charitable efforts to the fore. 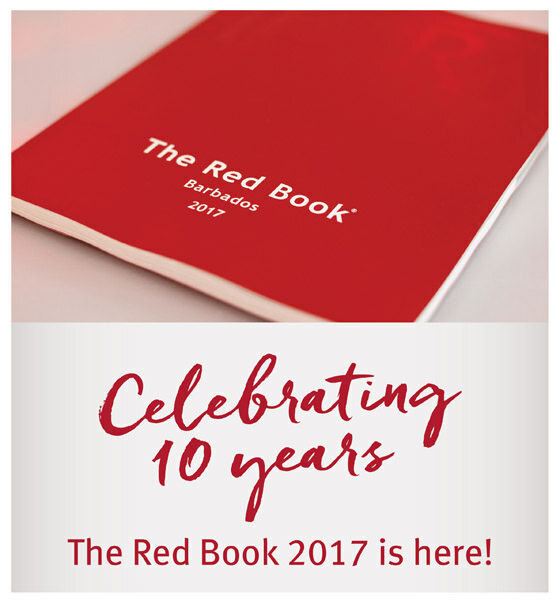 And, although considered quite a young charity, the cause has already made waves on a local and international level with an impressive taking of £100,000 in donations in its inaugural year! 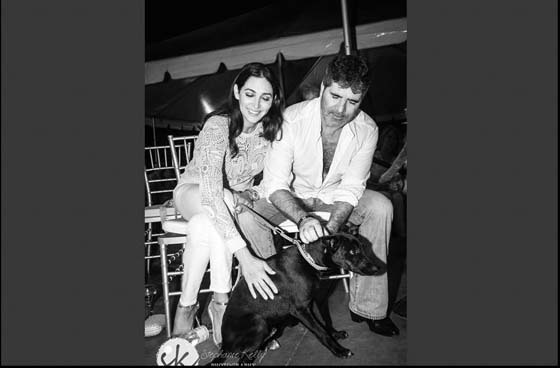 And, besides its heartfelt appeal to create a better environment for our canine companions, the charity is ever more endearing thanks to its heavy celebrity backing, something which is thanks to its patrons Simon Cowell and Lauren Silverman, who are both known advocates of animal rights. Founded in 2014 by Karen Millen and Danielle Mulligan, the animal wellness charity has been the crux of several initiatives, one of the most notable being their role in assisting the Ark Animal Welfare Society of Barbados to establish its own operating theatre as well as procuring a dog shuttle. In addition, the charity has charged itself with the task of equipping local bodies with the necessary supplies, accommodations and other such amenities to humanely manage the canine population as well as treating its most needy.